The Capitol looks pretty no matter what goes on inside. It’s no surprise that Democrats in the legislature are about to enact a bill intended to vastly increase the number of voters likely to vote Democratic. 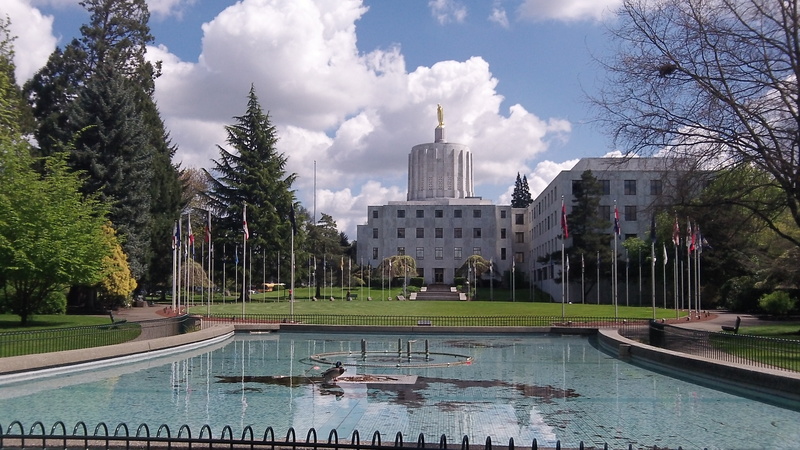 The upshot is that Oregon’s one-party government will become even more firmly entrenched in the years to come. House Bill 2177 will require the DMV to hand over to the secretary of state information on all holders of and applicants for driving licenses, including age, residence, citizenship and images of signatures. The information will be used to register as voters all license holders — and new applicants when they turn 18 — unless individuals opt out when notified. This is estimated to increase the number of registered voters up to 20 percent or more than 400,000 in 2015-17. Many of them will be fresh out of high school, liberally trained in the issues of the day from climate change and recycling to transgender discrimination. Most will not be homeowners or property taxpayers, so raising taxes on homes and businesses should become easier. Most of these new involuntary registrants likely will not vote, but enough of them will to make a difference in otherwise close elections. 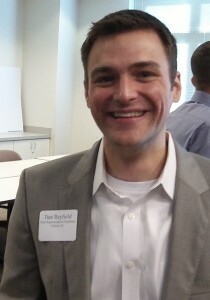 Dan Rayfield, one of the yes votes in committee. Secretary of State Kate Brown asked for the bill. The House Rules Committee has approved it 5-4, with Democrats in favor and Republicans against. (Among the yes votes was that of freshman Rep. Dan Rayfield from Corvallis.) The Ways and Means subcommittee on general government will hold a hearing and work session on the bill Wednesday. After that, its passage in the House is assured, and then it will sail through the Senate. Sounds similar to one of those subscription programs where they keep sending merchandise until you write them to stop. Weren’t those determined to be illegal? If anything, they should only be allowed to ask if you would like to be registered. Then it’s a moot point, since if you wanted to be, you would! I sometimes think you write your editorials in order to illicit a response from your readers…maybe even a visceral reaction. I would like to think you can’t possibly believe some of what you write. What could be possibly be wrong with increasing the percentage of people who vote in a democracy…unless of course you are afraid they do not agree with your political leanings.It seems to me that you would be in favor of the sort of strategies used in the south prior to the 1960’s to limit minority voting. I personally wish that low information individuals who cast their vote based on a single issue or people who watch FOX news didn’t vote, but then it wouldn’t be a democracy. You live in a blue state. At last, I can say to someone older than me, love it or leave it…maybe Texas. Yes, it works and I hope you keep it up. I read your posts every day and would be sorry if you stopped. Marvelous work you are doing to keep the public informed. Thanks. If someone is too lazy, incompetent, or uninterested to get registered to vote, bluntly the state will be better off with them not voting. Give us a break. All you’ve done is prove how closed minded YOU are, Mr. Geddes. Mr. Geddes’ response brings to mind the fable of two wolves and a sheep voting on what to have for their supper! I would like to disenfranchise all net recipients of public charity, that is, only taxpayers should have a vote since they are providing all the monies to government. Currently, the state includes a voter registration card for those applying for public assistance. How many OTHER state agencies are going to have to spend their resources (our tax money) doing the same. It’s pretty obvious there IS an agenda. Give “illegals” a drivers license and register them to vote. My wife is a “Permanent Legal Resident” and will be getting her Oregon Driver’s License in the future. I’m wondering if she will be automatically registered to vote under this proposed law once it becomes law? Can’t wait to find out because if she is…….as a non-citizen of the USA, we will know just how corrupt our system has become. It also occurs to me she could be in violation of the law through no fault of her own, since registering to vote as a non citizen is illegal and such an act can lead to a denial of citizenship, her next goal. We’ll be watching this one closely at our house.